Most games involving zombies pit you as one of the last survivors, running and gunning your way through undead masses. 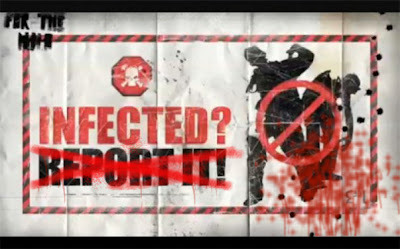 You either can't be infected or if you are bitten, you die and it's game over. 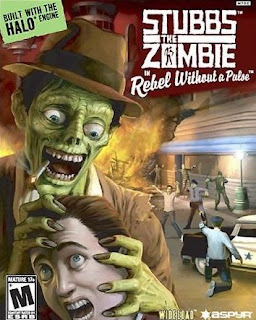 Very few other games place you as one of the zombies running around eating people. Infected would play the middle with you as a recently bitten human, who is slowly turning into a zombie. Your character would be struggling with their transformation, resisting the urge to devour the living, even as their body slowly decomposes and their humanity is lost. Being a human and a zombie has its advantages and disadvantages, depending on the situation. As you turned from human to zombie, your relation to the undead and survivors factions in the game would change. At first you would be able to pass off as a healthy human easily enough and you would be accepted as human by the other human survivors. Eventually though you'd start to show signs of your infection and survivors would attack you on sight. Zombies on the other hand would not hunt you as you are already infected but they might attack if you agitate them. As you lose your human traits zombies will pay less and less attention to you until they completely ignore you, accepting you as one of their own. Certain actions, such as using weapons, picking up items, driving vehicles, etc. would only be available to you as a human and would no longer be usable once you shift towards zombie. Human abilities for example could be Use Tool, Eat Food, and Drive, while Zombie abilities might be Undead Strength, Infectious Bite, and Consume Flesh. In Infected you would have two overlapping ability trees, one with your human and one with your zombie abilities. You would start with all human traits, but through the levels you would have to give up human ones and take on zombie abilities to represent your transformation. For example, the human trait, Eat Food, would allow you to eat food items such as apples or canned beans, and this would give you health. At a certain point you would trade this ability for the zombie equivalent, Devour Flesh, meaning you could no longer eat foods items, but could eat from freshly killed bodies to regain health and lower your hunger urge. There would be some story about your character trying to get somewhere, whether to save a family member, or get a virus sample to a scientist, something directing you from point A to point B. The gameplay mechanics would be about going around using your human and zombie abilities together in interesting ways to bypass zombie hordes and human survivors to reach a goal. 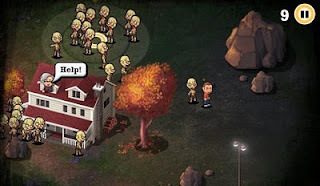 Using your infected nature you could wander through the streets, walking past zombies with little trouble. This would leave you to search for gear while a normal human survivor would get attacked. Still holding onto your humanity you'd be able to read and use tools to aid you, at least until you gave those skills up. Being an infected human means you can depending on the situation. A group of gun happy survivors are blocking your path? 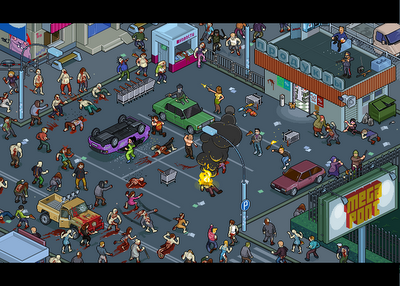 Attract a horde of zombies over to do your dirty work. Need to clear the road of power lines? Lose the human ability Feel Pain and pick those power lines up with little consequence.